The Robby Steam and Vac is a hygienic steam and vacuum machine and can be used to clean a wide range of environments. Plus, the vacuum does not require a dust bag, but instead uses a water filtration system that eliminates dust mites and smells! 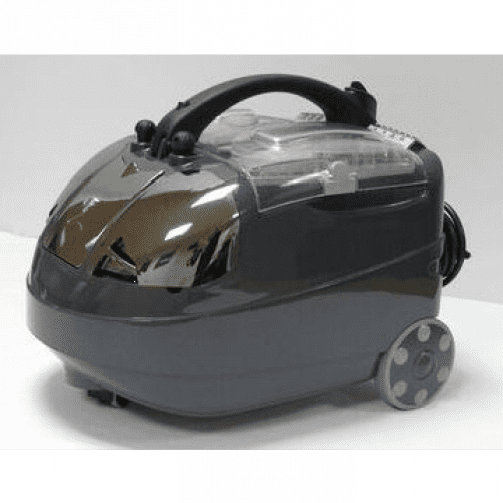 The Robby Steam & Vac is a steam cleaner, a dry vacuum cleaner and a wet vacuum cleaner all in one and can be used in areas such as the kitchen, lounge, bedroom and bathroom. The Robby Steam and Vac is ideal for the Healthcare Sector or for front of house use in hotels and guest houses. For years previously all of the cleaning in hospitals was being done using traditional methods such as mops, buckets and chemicals. This resulted in the surfaces looking very clean but they were shown to still contain swabs of very dangerous bacteria such as Staphylococcus aureus, which is the pre-cursor to the antibiotic resistant and fatal MRSA bacteria. But by using any of the steam cleaners in the Janitorial Direct Ltd range it completely eliminates the risk of bacteria such as these from surviving.